After our mud filled disaster with the help of some good friends we got back on solid ground at Lake Mead. This allowed us go explore Valley of Fire State Park - which happened to be right down the road! 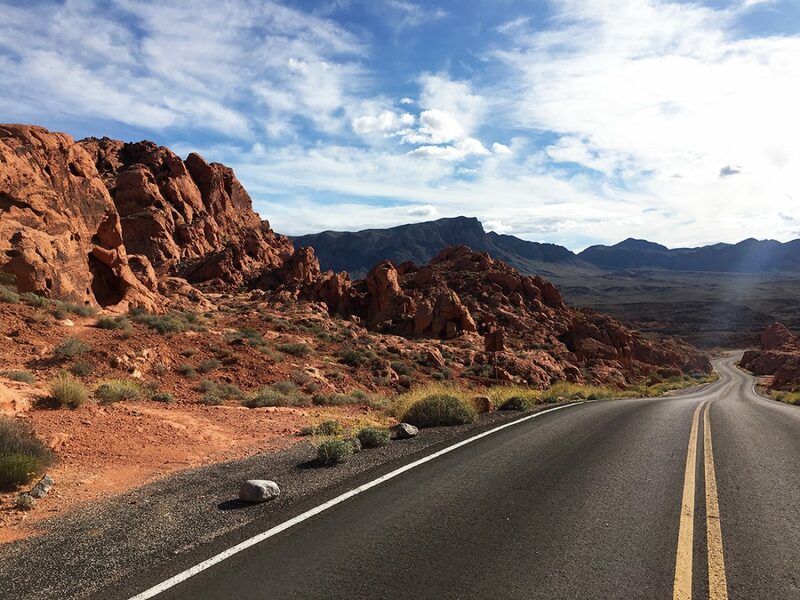 In case you didn’t know, Valley of Fire gets its name from red sandstone formations, created from great shifting sand dunes during the age of dinosaurs. Basically all the rocks are a shockingly bright red. The kids were super excited to go there because my Dad had visited about a year ago and showed us pictures - and they just thought it looked so cool. Plus I think it was kind of a neat way for them to say they had been in the same place as Papa. They even took the time to look through each picture he gave them and find the exact spots so they could recreate the shot. I love my little nerds. We actually broke our trip into 2 days because I still had to work and it was the middle of the week. The first day we went after lunch and drove through, stopping at all the major rock formations. First let me say that yes, the fiery red rocks were spectacular. Like some kind of alien landscape. The incredible range of textures, shapes were so unique. And all this in the middle of plenty of other beautiful mountains that weren’t red at all. Crazy! I think the kids even started up a game of hide and seek. It was here we were able to match up most of the pictures my Dad sent. They were so pumped when they found the same formations! Then we stopped by Arch Rock and Atlatl rock - the latter having some crazy Indian rock art carved on a huge flat rock up a serious flight of steps. On the way back we looked at a petrified log and spent a while exploring the Seven Sisters - a group of unique formations with lots of opportunity for climbing. Ashley wasn’t a fan of watching the kids climb as far as they could, but they had a blast! On the way out we made the short hike up to Elephant Rock - when you see it, you know. We even climbed up to examine it closer. At the base of Elephant Rock, there is a great little sandy spot perfect for letting the kids play and chill for a bit after the hike up. I was determined to do a family hike so we came back the next morning before it got hot, and went in search of Fire Canyon. We started along a wonderfully nondescript trail that just begged you to explore. It didn’t hurt that the bright orange rocks and neon blue and green bushes were a perfect foil for each other. It was one of those things that looked so much better in person. Pictures don’t do it justice. Did I mention the trail wasn’t very well marked? We followed a bunch of footprints probably a half mile off the trail into a really cool little gorge, but it was a dead end. So we backtracked, found the trail marker and continued on our way. The whole trail there and back was only 2 miles, but the terrain was extremely varied and kept us on our toes. Honestly, those are the best hikes. Our kids get so bored when we’re just walking along a flat a surface for a couple of miles. Even if the view is awesome. There were tons of rocks to climb over, tricky areas to make it through and towering mountains on either side to take in when things got slow. Finally, we made it to the end. The trail stopped right at the edge of the cliff overlooking Fire Canyon. I thought it was awesome. Ashley was a little freaked out. Either way, it made a great place to sit down, have a snack and rest. We headed back, packed up and got ready to go boondocking with a bunch of new friends in Utah. On a cliff... Oh yeah!